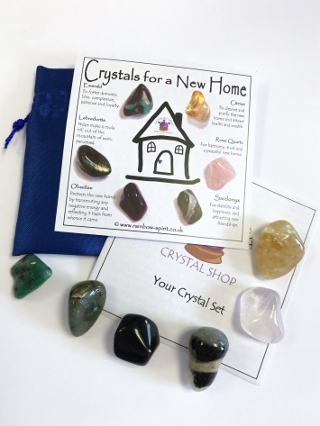 This is a set of carefully selected crystals, chosen to complement each other and to provide the best start for a new home, from moving day onwards. 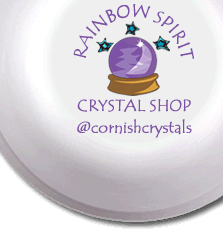 The set includes five 10-25mm stones (Emerald, Labradorite, Obsidian, Citrine, Rose Quartz and Sardonyx) and a pouch, and comes as an 8x8cm card print of the poster with information to explain each stone. This is one of our 'stock' items, so the photograph is an example of the set we will put together for you. Choose between Standard Shipping (no tracking number) or upgrade to Tracked & Signed For. Both services take 10 days for the US and abroad (2-3 days within the UK).